The University of St. Augustine for Health Sciences (USAHS), a leading graduate institution that emphasizes rehabilitative and health sciences education through innovative classroom and distance education, is proud to announce that Sheri Montgomery, OTR/L, OTD, FAOTA, a faculty member in the Master of Occupational Therapy program on the St. Augustine campus, is one of six people nominated for two director positions on the Board of Directors for the American Occupational Therapy Association (AOTA). Polls open for AOTA members to vote on January 10 and close on January 31. Dr. Montgomery has been teaching at the university since 2013, and has experience as a school occupational therapist and clinic owner. 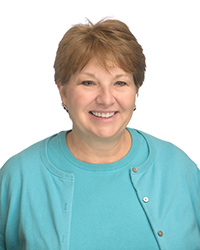 She has been an AOTA member since 1976 and has served in numerous leadership positions, including as a Board Director from 2010-2013 and as chair of several committees. She is also a leader at the state level, including as past president of the Wyoming Occupational Therapy Association and recently served as chair of the Bylaws, Policies and Procedures Committee in Florida. AOTA represents more than 213,000 occupational therapists, assistants, and students in the United States.